If you have stubborn areas that are resistant to diet and exercise, SculpSure® body contouring is for you. 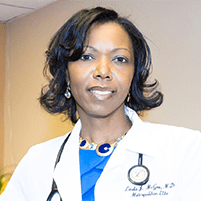 This laser treatment eliminates fat in problem areas with no downtime and is available from Dr. Linda McGee at Metropolitan Elite Family Practice located in Laurel, Maryland. Call the office or schedule an appointment using the online tool to learn more about how SculpSure can change your physique. SculpSure is a noninvasive laser system that eliminates fat in any given treatment area. During a session, a technician from Metropolitan Elite Family Practice applies the specialized applicators to the desired areas. The heat energy penetrates the outer layer of your skin to reach underneath and disrupt fat cells. The fat cells are damaged, and your body eliminates them through its natural waste removal processes. SculpSure damages up to 24% of fat cells in the treated area in each treatment session. Discuss your goals for contouring your physique with Dr. McGee to learn how SculpSure can help you. SculpSure has very few side effects. You may have some temporary reddening of the skin in treatment areas, but this disappears within a few hours. No downtime is required following SculpSure sessions. You can go right back to work, school, or any other activities right after a treatment. How many SculpSure sessions will I need? Although you can choose to have only one SculpSure treatment, many people opt for multiple sessions for greater results. Dr. McGee can discuss it with you and together you can decide on the best treatment plan. You may feel warmth and tingling during the SculpSure session, but most people tolerate the procedure quite well. No anesthetics or numbing creams are needed prior to treatment. How soon will I see results from SculpSure? Many men and women see results within just six weeks of treatment. Optimal results appear after about 12 weeks when your body has had a chance to eliminate all of the disrupted fat cells from the treatment areas. People who are near their healthy weight, but have pockets of fat around their tummies or thighs (or other areas) are the best candidates for SculpSure. The procedure is not designed for comprehensive weight loss. After your treatment, you get the best long-term results by maintaining a healthy weight through a balanced diet and regular physical activity. The fat cells destroyed with SculpSure are permanently gone, but if you overeat or stop exercising, other fat cells can plump up and cause weight gain. 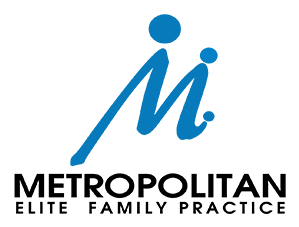 To learn how you can benefit from the body contouring technology of SculpSure, call Metropolitan Elite Family Practice or schedule an appointment using the online tool.